THQ and Vigil Game's Darksiders series is known for creator Joe Madureira's bright and bulky figures and an overall aesthetic that pulls straight from the longtime comic book artist's illustration work. The franchises comic book ties resulted in two projects back when the first game dropped in 2010, and now Dark Horse Comics will provide yet another Darksiders project when the game drops in August. 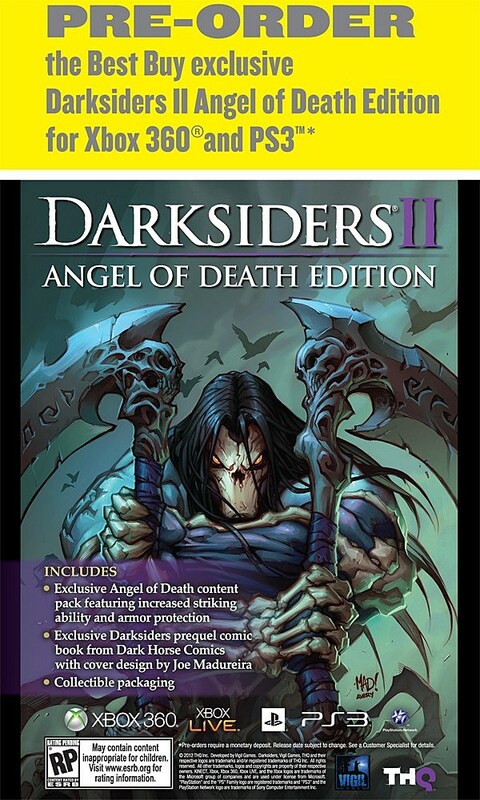 Part of a Best Buy exclusive preorder bonus in the Darksiders II: Angel of Death edition for PlayStation 3 and Xbox 360, the comic will feature a cover by Madureira, with an interior story by Andrew Kreisberg (Batman Confidential, Green Arrow and Black Canary, Fringe) and artist Roger Robinson (Batman: Arkham City, Azrael). Story details are sparse thus far, but the tale will be titled Darksiders II: Death's Door and reveal "essential secrets from the world of the upcoming game," according to official PR. 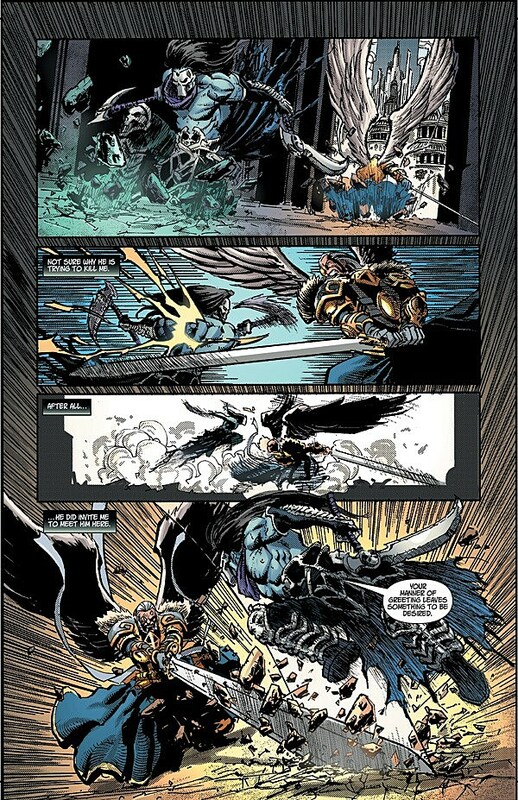 Wildstorm handled the first promotional Darksiders comic back in 2009, which featured art from Ludovic Moulière. Udon also put out a limited edition hardcover Darksiders art book in 2010, featuring concept images and more from the first game in the series. After attending a hands-on gameplay demo a few months back, I compared Darksiders II protagonist Death (of the four horseman of the Apocalypse) to Skeletor and Casey Jones, with the fighting style of ninja. It should be interesting to see if Robinson's art communicates a similar vibe.